Eleven Tigers steps up with a beautiful and entirely lush record for the first album to be released by the deeply impressive Soul Motive label. The Lithuanian ex-patriot is going to be blowing some minds this year, with this album and its forthcoming show- piece single 'Stableface'. 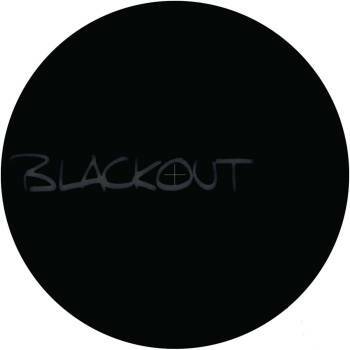 His sound has a sense of being wonderfully organic, while retaining a dark electronic aesthetic. Not only an album, but presented as a continuous live set, Eleven Tigers is a master of the live show, no one set is ever the same,with beats and melodies constantly evolving from a sheer joy in experimentation. The album truely reflects this as it takes you on a journey of epic proportions, careering from one musical world into another. Moving from ambient ethereal pads, dark electronic drum sequences while folky vocals, delayed pyschedelic guitar licks and detroit chords all melt in and out of the mix. All the while giving you a natural feel and human element in Eleven Tigers electronic world. 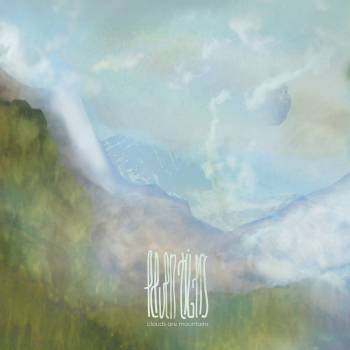 Clouds are Mountains may predominantly occupy the especially fertile140bpm terrain, but make no mistake, it is by no means your typical dubstep record: influences are drawn from most areas of bass music, be it garage, techno or whatver you call it - to form a highly impressive piece of work that fully immerses you from start to finish. 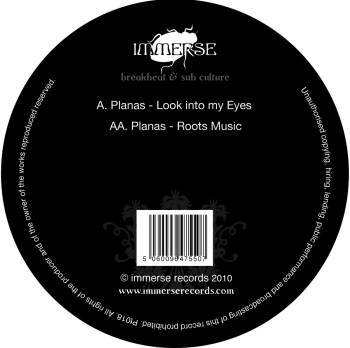 Incoming release from Bristol's Immerse label sees Rankin Records label boss Planas deliver two stunning new tracks of jazzy and dark edged dubstep. Immerse continue their foray into the realms of all things quality with the enlistment of Toby Davies AKA Planas for this new 2 track single. Davies is the man behind the much respected UK dubstep label Ranking Records, an imprint that has been releasing consistently outstanding records for the last 3 years, most of which have featured him either as a solo artist or in collaboration. First of the two cuts here comes in the shape of 'Look into my Eyes', a jazzy, summery slice of broken beat brilliance. Melodic Rhodes parts and ethereal female vocals float over an undercarriage of rich rollin' bass and cut up drums with the whole thing held together by pads and subtle toplines that are reminiscent of classic Good Looking recordings. This is superb sun drenched music - light, musical and highly engaging. The flipside track is entitled 'Roots Music' and is a darker, brooding affair with razor tight percussion and earth shaking bass. Once again the record is given a melodic vibe with dubbed out piano stabs, effected blues harp riffs and tight arpegiated synth lines used to lift this recording into the realms of the sublime, pure class. After an incredible 2009, Immerse are definitely a label to watch this year, with an open music policy incorporating the best in UK electronica, dubstep and techno and with the addition of Planas to the roster it seems things just keep getting better. 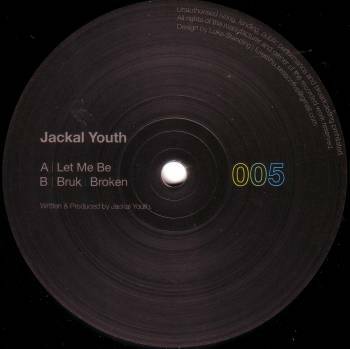 Reduction ramps it up another notch with some crisp pressure - minimal militant music from newcomer Jackal Youth. 'Let Me Be' opens with a simple collage of broken house drums and brassy stabs, vocal micro-samples hinting at the yearning vox to come, Add in a Popcorn-esque riff, tick-tocked percussion and punchy sub hits and you have a cheeky catchy little anthem. 'Bruk' on the flip continues ina similar vein - cut up Funky riddims and sliced female vocals wind together into a bumping garage cut that builds all the way - adding layers of synths and percussion as the pressure mounts. 'Broken' rounds off the EP with a more complex piece, the conga-soaked house riddim overrun by offbeat detuned chords and a topline which sees the main motif develop and gather pace, adding new colours witha bittersweet flavour.